How is the church supposed to discipline church members? What is the biblical way to discipline blatantly sinning church members? Is it biblical to disfellowship church members? To the world, discipline seems wrong but the opposite of love is not hatred but indifference and so if God did not care about us, He would never discipline us. This same principle applies to members of the church, the Body of Christ. Paul said a little leaven leavens the whole lump (Galatians 5:9) which means that sin that is unrepented of, becomes systemic and spreads and affects the whole body (1 Corinthians 5:6). Jesus warned the disciples about the legalistic, pharisaic leaven that can easily spread (Mark 8:15). Having seen that discipline is done by God in love and for the best interests of the believer, the same principle applies to church members who refuse to repent. R.C. Sproul of Ligonier Ministries (Renewing Your Mind) says that there are three “marks” that distinguish between true, biblical churches and those that are mere social clubs. One thing is that a systematic theology of Bible teaching takes place behind the pulpit. As Charles Swindoll once said, “If there’s a mist behind the pulpit, there’s a fog in the pew.” The second mark of a sound church is if the church regularly administers the sacraments (the Lord’s Supper or Communion). Perhaps the most overlooked of the three “marks” of a sound church is that of church discipline. This mark is the one that is missing in many churches today and it is to their own hurt. When a church institutes and enforces church discipline when necessary, they are accepting the great privilege of being instructed by God’s Word, for the Bible teaches this. Just as a parent disciplines a child to keep them from running out into the street to keep them from harm, so also a church exercises love when they discipline a church member when it is deemed necessary. To not do so is an act of indifference. The church culture is one of accountability and so leaders and the membership have the responsibility to not only discipline themselves but also those in the flock that they are responsible for. I am a pastor but really I am only an under-shepherd to the Great Shepherd who is the true Head of His Church (Ephesians 1:22-23, Colossians 1:18). God will hold me responsible for my own lack of discipline but He will also hold me accountable if I do not ensure biblical church discipline when it is needed. Many wrongly take the last verse out of context and make it a justification for not having to go to church where Jesus said, “if two of you agree on earth about anything they ask, it will be done for them by my Father in heaven.” This is obviously talking about church discipline. It does not mean that it takes only two or more to have a home-church. It is also not about Jesus being present if there are more than one being present because every believer has Christ within them at all times (Colossians 1:27, John 7:38). A church leader or a church member must first go to the person who is openly sinning but they are to do so privately. Jesus commands a church leader or a church member that they must first go to the person who is openly sinning but they are to do so privately (Matthew 18:15). This does not mean you tell someone else first or afterwards. That is called gossip. Jesus commands us to do this first step privately. If they admit the sin and repent of it, then that’s the end of the process. There is no need to ever bring it up again with that person or most importantly, with anyone else. Step two is initiated when the person refuses to repent or admit their sin and confess it. If their sin continues, you are commanded to take someone else with you (Matthew 18:16). Jesus says take one or two with you…no more than that. Even when you take one or two witnesses with you, the matter should still remain private and should not be shared with anyone else because they might repent and confess their sin at this point. If this still doesn’t work, this is when it gets hard. They have obviously refused to listen and then this matter must be taken before the entire church. If they refuse at this point to repent and confess, they must be disfellowshipped (Matthew 18:17). There is no exception. God will hold you, the church, and the church leaders responsible if they do not follow up on this. Paul says that they are then to be treated as an unbeliever and not even be associated with (Titus 3:10, 1 Corinthians 5:11), otherwise the unrepentant sinner sees it as you or the church condoning (or accepting) this sin. We “are to deliver this man to Satan for the destruction of the flesh, so that his spirit may be saved in the day of the Lord” (1 Corinthians 5:5) as part of purging out the sin from the church (1 Corinthians 5:7, 13). We must trust in God Who is fully capable of dealing with them. When Paul said that the church is to deliver them to Satan, he is saying that God is going to remove His hedge over them, like He did Job, but for the express purpose of bringing them to repentance. In accordance with Biblical commands and the doctrine and longstanding practices of the church, including Church policy, it is my unpleasant duty as a pastor to announce this last warning prior to your being disfellowshipped from the (local) Church in (local city). Since I have warned you once privately and then twice, bringing a witness with me, about interrupting, interfering, and obstructing Bible study, business meetings, and talking during church services, this serves as your final notice in the event that it happens a third time. If it happens once more, the third time, then the local church membership has the legal right and church board approval to vote to have you disfellowshipped. This vote takes a simple majority vote. If the church votes for disfellowshipping, you will receive verbal and official notification by registered mail which is in accordance with policies and procedures of the local Church and in accordance with what the local church membership has voted on to establish as part of this procedure. Both of these procedures are based upon biblical models taught by Jesus Christ and by the Apostle Paul. We have followed the biblical model of Matthew 18:15-20 and going to a brother or sister privately by which you were informed of the offense for the first time. Since this was not effective in bringing about your repentance and confession, two other witnesses came to speak with you which were also done privately. We are praying that you would admit your offense, confess it, and repent of this. If this second attempt proves fruitless, then a third such time will result in disfellowshipping you, Mr. Doe, from the local church. The Bible commands the church leadership and membership to judge those who are inside of the church (I Corinthians 5:1-2) and to enforce the divisive person clause in striving for quality relationships in the church (Titus 3:1-10). The Church does not bear any ill will toward you nor your family but wishes repentance and reconciliation to the church and to this fold if indeed you are disfellowshipped. Even so, the members will be asked not to fellowship or associate with you, Mr. Doe, following biblical principles and guidelines. If the registered letter does not cause this offense from happening again, the church will be informed as a whole and the church will be made aware of this offense and the letter sent to the person causing the offense will be read aloud to the church. This serves to warn others in the church that they too are accountable to Christ Who is Head of the church as well as the church membership. If there is no repentance after this third attempt the church membership will cast a secret ballot to either accept the member as they are or to disfellowship them. If the member is disfellowshipped, they would have to reapply for church membership after a set amount of time, and the church would have to vote again by secret ballot to have them accepted back into the flock. The vote either way takes a majority vote, even if it is by only one vote. The church will be asked to pray for the unrepentant person while still not associating with them but pray that they repent. If they do repent after a set amount of time (determined by the church leadership and/or the church membership) they should be restored in a spirit of gentleness and humility and are not to bring up this offense again. The church must receive them back after their repentance because Paul warns that believers too might be tempted in a similar fashion and stumble in the same offense that caused the person to be disfellowshipped in the first place (Galatians 6:1). Church discipline is one the most difficult things a pastor or church can ever do but it is one of the most loving things too. Love and discipline are inseparable. They are part and parcel with what it means to belong to Christ and to be part of the Body of Christ, the church. This is so because “God is treating you as sons (or daughters)” and “what son (or daughter) is there whom his father does not discipline” (Hebrews 12:7). To not do so is sin. Resources – New International Version Bible (NIV) THE HOLY BIBLE, NEW INTERNATIONAL VERSION®, NIV® Copyright © 1973, 1978, 1984, 2011 by Biblica, Inc.™ Used by permission. All rights reserved worldwide. Greco, Fred. Church Discipline, Table Talk. August, 2013; 22. Print. I guess no one wants to comment on this one. Resistance to discipline is a measurement of pride. Like most articles written on this subject you fail to discuss one small detail. What sins? Your church (I assume) is filled with sinners. I doubt there are any exceptions, so which sins are you willing to accept in your church and which ones are subject to church discipline. It all sounds so well and good until the rubber hits the road so to speak. We teach on how to deal with sinners in the church but we never identify the sins. Adultery but not gossip? Fornication but not slander? How about gambling? Social drinking? Playing the lottery? Your article is just more of the same empty attempts to say we are against sin by promoting a Scripture to accomplish our purposes. If I am wrong then finish the article more thoroughly and name the sins. Then get ready for an empty church. Thank you Mr. Miller for your criticizing of this article. Did you read the letter that I sent to this person? It reveals what the sin was and it was constantly interrupting Bible Studies, board meetings and talking during services. God is not the author of confusion and so when there is no way to have a service, hold a Sunday school class or board meetings are not productive and nothing can get done because things can’t get passed because they are all angry at the shouting or arguing of one person, then it is necessary. Adultery and fornication yes, that is sin and so is gossip and slandering someone. I believe the sins are those covered in the Bible for which I included only a couple of places, if you had read the verse in 1 Cor 5 and Titus 3. Do you not believe that a disruptive person should be allowed to interrupt services, board meetings and Sunday school classes where nothing can be accomplished? These sins were identified in church, regularly during services, and in this article and precisely in this letter that I wrote and left blank the name to protect the person’s identity on the Internet. What would you do with this person? Please give me an idea. Tell me what you would do? Thank you for your comment and critique of this article. The problem I see here is other than administrative sanction for clear and obvious misbehaviour in the church itself like “constantly interrupting Bible Studies, board meetings and talking during services”, the other sins are likely to either be so private that you don’t hear about them or they constitute rumours from another church goer to which the sinner in question will likely deny it and then you have a “he said she said” with little evidence to go on and a church community that will begin to rupture as people start ratting on each other and forming sides as such. We’re not living in small communities today where we live with each other and the sins directly affect the community. Many of the sins in question are for the most part personal and sins against God as opposed to against the community for which such a sanction would be more appropriate. Then there’s concept of church leaders who are sinners disciplining lay persons who sin. So who then disciplines the church leaders when they sin, sometimes continually and without repentence? See in criminal justice law enforcement is only able and authorized to act so long as they remain law abiding. You can’t enforce the law and an offender yourself. Unless we’re dealing with a very public sin and a very public sinner, then this concept as presented becomes extremely dicey. Amen brother….spot on. We are facing in the church that I am under-shepherd of a church discipline issue. I have dealt with a lady 3 times now and the next step is disfellowshipping her. She has constantly gossiped about prayer requests to outsiders and non-believers and also caused great division in the church and now, after last Sunday’s Sunday school class, she said that I, the pastor, said that “We should follow Hitler’s orders” which what I really said is that cults are like what Hitler did to Nazi Germany and the followers at first were anxious because of the great depression that nation was in but later they obeyed out of fear and that is what a cult is like in some ways. She took my words and twisted them and now is going public to other believers and to the general public that “The pastor said that we should obey Hitler!” Wow. See why church discipline has to occur but I do so as a very, very last resort. Thanks Nick I so agree with what you said so well my friend. Thank you and I thank God for you. You speak the truth. Amen pastor Wellman and shall I hope that this weekend arguably the most important season in the Christian life gives you a renewed sense of joy and reflection regarding the single most important relationship that anyone can have that being with our Lord and savior Jesus Christ. I agree and think that you’ve chose the right course of action in this regards. Clearly you’ve meditated on the issue and asked the Lord for guidance. You could have and still could pursue this in civil court by way of a defamation suit. In this day and age some falsely accusing you of saying that “We should follow Hitler’s orders” when you have evidence to the contrary would by the account of MOST legal experts put you on solid ground to launch such a civil action, especially given the damage it could do to your name, your church and membership and Christians generally today. If you have as the scripture says (Matthew 18), approached the would be defendant with your true statement and asked them to recant, once privately, and secondly in the same manner before the church public or congregation, then the third step could also be service of an intention to sue. If this was the case and I were hired by that woman who assailed you in such a matter I’d instantly phone your legal counsel and start negotiations on a settlement knowing that there is no way I could defend such a suit. You however have followed the teaching in Matthew 18 to the letter taking the third step of having (or in the case of a lay person calling for) the disassociation of the member by way of no longer having fellowship with her. Here your intentions are pure, undefiled by desire for monetary gain and demonstrate true Christian Character. You’re not so much concerned with making your name made whole in the eyes of others while hurting her but denouncing sin within the confines of the Christian community. Bravo! Catholics call this excommunication as you are well aware. Many mainline Protestants reject this kind of church discipline some even saying its like trying take someone’s Christian credentials away from them. To that I say nonsense! Fact is the offender can always recant of his offence if he wants to remain in the community in question with all its rights and privileges. Secondly, NOBODY can take away your “Christian credentials” in any significant manner safe the Lord at the time of your judgment. Finally and I guess this is a denominational thing. A Christian community that expresses its devotion to Christ by following specific discipline (the term for which is religion) has every right to express and promote that discipline. That being said, it also has the right to demand that its members do likewise. So when you have public figures or celebrities engaging in all manner of sin and immorality or expressing beliefs that are contrary to the church’s teachings then they have every right to excommunicate or disengage in fellowship with them. This is not saying “no you’re not a Christian” (you might be or not) but its saying “no you are not a Catholic or Calvary Baptist or whatever … kind of Christian. That particular denomination has every right to preserve its name as a church as well as preserving the good name and character of the broader Christian community. They do not have to sit back and watch someone publicly misrepresent their form of Christian discipline. I wish some of the mainline Protestants would stick their noses in the bible and do such. When guys like the Kennedys and Barack Obama for example go around espousing infanticide (abortion) and homosexuality then for the “family vote” say that they are Christian by virtue of supporting “social justice issues” I can see and hear true Christians nation-wide sighing and groaning. I mean Hugh Heffner supports charity and social justice yet given his lifestyle at least he’s got the dignity not to claim to be an observant Jew. Mr. Curran…thank you so much sir and this step is being taken after much thought and prayer and giving her the chance to repent and recant or at least apologize. Sadly, what has been done is done and you cannot unscramble an egg. I fear the shame on Christ and His church. The three elements missing so badly today are regular administration of the Sacraments, weekly expository Bible-centered preaching and church discipline and the last of these three are sorely missing in the last 3 churches I attended. I am responsible to Christ as He is the Head of this church and I am only an under-shepherd to the Great Shepherd and so I must give an account to Him for this someday. I believe it is better to face the church’s discipline than it is God Himself for one way or the other, a disobedient, divisional, talebearer and really, slanderer, will be dealt with….by the church and if not the church (which is sin if we don’t) then God will do so and He may not be as gentle for she is really slandering the Body of Christ and that is Jesus Himself. It is like a member of the church would be the hand and she takes mud and slings it on the Body and so this hand must be severed temporarily it is hoped, that she repent and for now, delivered to Satan for the chastisement of the flesh to save her soul (as Paul once said over something about church discipline). I thank God for you sir that there are men of faith who still believe that this needs to be done…and as hard as it is….you make me feel better over one of the most difficult things that there are. Many tares are in the wheat but when a tare is clearly marked, it should be removed to allow the wheat to be nourished and not be tarnished or nutrient robbed. Thank you sir. I do urge you to move carefully. There seems to be much church discipline that is more about tradition than it is about truth. Of course, I know that you are always seeking truth. My brother and friend Michael, thank you so much for such encouragement. Yes, this was a slow, careful, and deliberate process that I am taking my time in. I have read from the godly men of the past like Jonathan Edwards, Martin Luther, and A.W. Tozier that if any of these three things are missing then that particular church is doomed; regular administration of the sacraments, regular expository Bible-centered preaching, and church discipline. Thanks friend. May my future be in His hands, even if I end up as an itinerant pastor. As a member of a church that practices church discipline, what is the responsibility of the members who are friends with the member that’s been excommunicated? My close friend was excommunicated several years ago and she is not repentative/she retaliated with anger toward the church. Do I cut off all contact with her? I don’t socialize with her but 1-2/year, and I try to share what the Bible says about her actions. But perhaps I am only being a hindrance to her being convicted instead? The Bible teaches that we are to treat them as an unbeliever, so this means you can still speak to them but don’t associate with them like go out to dinner or be close friends. Since we’re to not have fellowship with them we must pray for them to repent and return to the Lord. I would let God work on her heart as only God can change the heart (prov 21:1). We cannot but only make it worse. PS…thank you for caring for your friends who was ex-communicated. Paul said deliever such a one (a disfellowshipped person) to Satan to let him buffet them in this world in the hopes of their repenting & returning to God. I know its easy to interfere with what God’s doing, but thank you for caring. Yes, the Bible speaks of those being put out of the church and delivered to Satan for the saving of the soul, or to let the Devil and his demons have their way with them until the sinner repents. 1 Cor 6, Rev 21:8, and many others show that those who practice such things will not inherit the kingdom of God. If you don’t do it again, you should be okay but God Himself will discipline those whom He loves, but the church has the authority (Matt 18) to discipline and if necessary, disfellowship someone for this sin. God wants the church to remain holy and not be full of fornicators as they won’t be going to heaven. Pastor Jack wellman My son in law has a business in logistics. He is a council member in the church. Every time he comes back from overseas on a business trip he ends up buying duty free alcohol from the airport and brings it to his house and later he gives it out to friends or people who does favors for him. I have Informed my pastor about it and he told me that it’s a sensitive issue that if he confronts him then he might ask who told him since we are family and might bring division in the family. My pastor told me that he will let it play out and will continue to pray for him and that he might repent but it’s only last year 2017 that I told my pastor about this issue but my son in law has been doing this for the past 5 years and our daughter has been calling it the business alcohol. Every time we do street outreach He preaches against the use of alcohol drugs etc.Since My son in law is one of the church council member, what will happen if this continues in The church? Hello Kau. Thank you so much for your comment and this is not a good situation and you have good judgment that payng friends back for their favors with alcohol is wrong. Many of these friends may be former alcoholics and may be tempted to return to this addiction, and so this is very serious. If this happened in the church where I pastor at, then I would speak with the man personally and privately and say, it was brought to my attention that you are bringing alcohol to people as a way to payback their favor (which is wrong, since this robs the giver of their blessing) but it may make someone return to their alcholism and it sends a bad message to all who know about this that a way to repay your friends is to buy them alcohol. You cannot preach against alcohol and then pass it out. That is hypocritical. God is not pleased with this, as you can imagine. 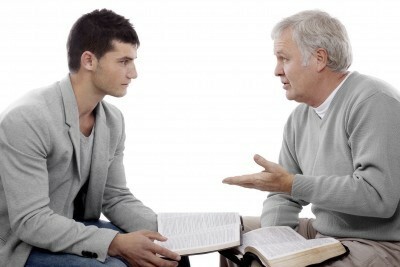 The pastor should not ever worry about the qeustion, “Who told you this,” because that person is evading the question, and I would tell him, “It doesn’t matter who told me…it does matter that this is wrong.” THe pastor must “Be the pastor!” and sometimes its difficult, but that’s what God’s called us pastors to do. Rebuke, exhort, correct, and admonish..those are all commanded of pastors! Please have your pastor contact me. Praying….you are right that this is wrong. If it continues, it may be time to find another church, and I wouldn’t be surprised if others do the same in time or after they hear about this (and they will! )!